This stylish signature font is the perfect typeface you can use to craft an elegant title for your resume or cover letter. It’s also a great choice of font for giving your name more personality. Rustic Town is a yet another elegant signature font you can use with your resume to make your title and headers look more creative. The font includes both uppercase and lowercase letters as well. Zayley is a modern serif font that features a high-end luxury design. It’s ideal for crafting professional resumes for corporate positions. While the font looks great in all-caps, it includes lowercase letters with multilingual support. 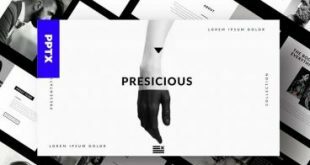 If you’re looking for a unique font combo to use in your creative resume design, this font will come in handy. It includes natural and outline typeface designs you can use to craft titles and text in your resume and cover letters. Carolin Duo is another bundle of fonts that you can use to design modern resume and cover letters. The font comes in serif and sans serif typefaces as well as in multiple font weights. Zevida is a family of sans serif fonts that includes font weights ranging from thin to regular and bold. It incldues both uppercase and lowercase letters. Summer is a unique handwritten font you can use to craft the headers and titles in your resumes. 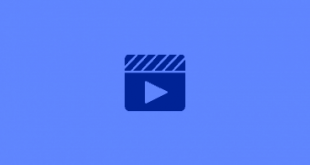 It will especially fit in nicely with your resume designs for creative professionals. Zimra is a family of serif fonts that features both uppercase and lowercase letters in 5 different weights. You can use this font to design creative headers as well as with body text. Focus Grotesk is a creative and minimalist sans serif font that comes with 10 typefaces including 5 different font weights and 5 italic versions of the weights. The handcrafted design of the font will make your resume and cover letters look more attractive as well. Morton is another elegant grotesque font that features a simple and elegant design. It features a classic condensed design and comes in 9 different weights to fit both your resume title and body text. Camilie is a modern font family that features a thin design. It comes with 5 different font weights ranging from ultralight to regular and bold. It also supports multilingual characters as well. Lorin is a geometric sans serif font featuring 4 different weights including light, bold, and extra bold. The font features a modern elegant design that’s suitable for designing many different types of resume and cover letters. Metrisch is a modern sans serif font family that comes in 6 different font weights. It includes typefaces suitable for crafting both the titles and the body text of your resume and cover letter designs. Herz is a simple and elegant sans serif font you can use to design many types of resume and cover letters. It includes 3 different weights including light, regular, and bold. Addington is a modern serif font that comes with 7 weights featuring Roman and italic sets. It’s ideal for the body text of your cover letter and resumes to add more professionalism to your designs. Mriya Grotesk font comes in 4 different weights featuring 4 italic versions of the font. It also includes OTF, TTF and Web Fonts versions as well. Original Sin is a stylish signature font you can use to design the titles and the headers of your resumes. It comes with an elegant design that’s most suitable for creative professionals. This is a bundle of 2 different fonts featuring regular and slant typeface designs. Both fonts feature a creative handwritten design that will make your designs stand out from the crowd. Aliquam is a modern font with a rounded edge design featuring 4 different font weights. You can use it to design creative resume and cover letters, especially for creative professions. Sprout is a sans serif font featuring a narrow and feminine design. The tall and creative design of the font makes it most suitable for crafting the headers and titles of your resumes. This font features a clean and simple design that makes it the perfect choice for crafting the body text of your resume and cover letters. The font comes in 7 different weights. Deleplace font comes featuring an elegant design featuring 3 different font weights. This font is most suitable for designing resumes and cover letters for creative and corporate positions. George is a beautiful sans serif font featuring a rounded design. It comes with both uppercase and lowercase letters as well as 8 different weights to choose from to design your resume and cover letter. Metropolis comes with a touch of modern design that makes it stand out. This font is ideal for crafting the titles and headers in your resume to make it look more attractive. Tessan is an elegant sans serif font featuring a design inspired by the Classic font from the 20th Century. The font comes in light, regular, and bold weights. Texteron comes in 6 different font weights allowing you to use this font in both your titles and your body text. 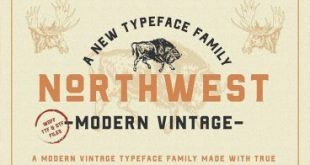 The font also features a creative vintage design as well. As the name suggests, this font features a simple and clean design making it suitable for designing all types of resume and cover letters. The font comes in 5 different weights as well. Thomas Mag is a serif font featuring a creative design. It comes in 5 different weights as well as italic versions of those weights. The font also features bot uppercase and lowercase letters. Another creative signature font you can use to craft the titles of your resume and cover letters. This font features a beautiful handwritten design as well. Orion pro is a modern font with a rounded soft edge design. The font is ideal for designing resumes and cover letters for creatives. Tyros Pro is a bundle of sans serif fonts that include 16 different typefaces, featuring 6 font weights, 6 italic versions, and 3 stylish outline versions of the font. 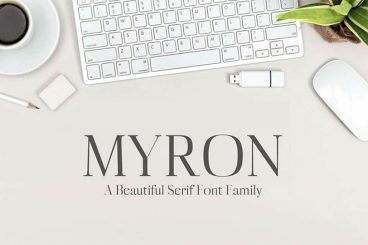 Myron is another elegant font that comes with 5 different font weights. You can combine the different weights of this font to use to craft both titles and body text of your resumes. For more font inspiration check out our best serif fonts and the best cursive script fonts collections. A thoughtfully designed CV or resume can help you stand out from other candidates, and make a memorable first impression. It isn’t enough to use the standard template in MS Word—you need to be thinking more creatively! In this series, we’re sharing tips, advice and templates for creating the perfect CV or resume!